OPB Feb. 11, 2019 10:45 a.m. | Portland, Ore. The influential Portland City Club is recommending an overhaul of the city’s unique commission form of government, prompting debate among sitting Portland City Council members. Under Portland’s current system, the five members of the City Council serve dual roles as legislators and administrators of individual government agencies. They’re all elected citywide. Club researchers say that structure leads to inefficiency and leaves many Portlanders unrepresented. Mayor Ted Wheeler agrees, though he says voters — rather than the City Council — should decide whether to make a change. 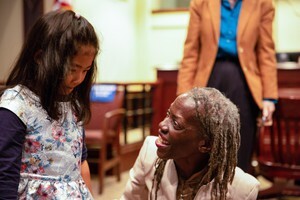 In her 2018 campaign, newly elected Commissioner Jo Ann Hardesty argued to change the form of government to increase the chances that women and people of color run and win seats on the City Council. Hardesty is the first woman of color ever elected to Portland City Hall. But at least two of her colleagues, commissioners Nick Fish and Amanda Fritz, don’t support a change right now. Fish told The Oregonian he thinks the current system encourages innovation. And Fritz says the Council’s current makeup undercuts the City Club’s contention that the commissioner system discourages diversity. And, Fritz notes, three of the five current council members rent rather than own their homes. Fritz says there are other ways to encourage more diverse candidate pools, including the new public campaign financing system that takes effect with the 2020 elections. The City Club recommends hiring a professional city manager to run city agencies. And it recommends increasing the size of the City Council and switching to district elections. The nonprofit is calling for changes to a system first adopted in 1913. The commission form originated in Galveston, Texas, after the 1900 hurricane that nearly wiped out the entire city. It was intended to ensure that governments could continue to function after disasters by concentrating management of core municipal services. Portland is the last major U.S. city to keep the commission form of government, but voters have repeatedly rejected attempts to change, most recently 12 years ago.